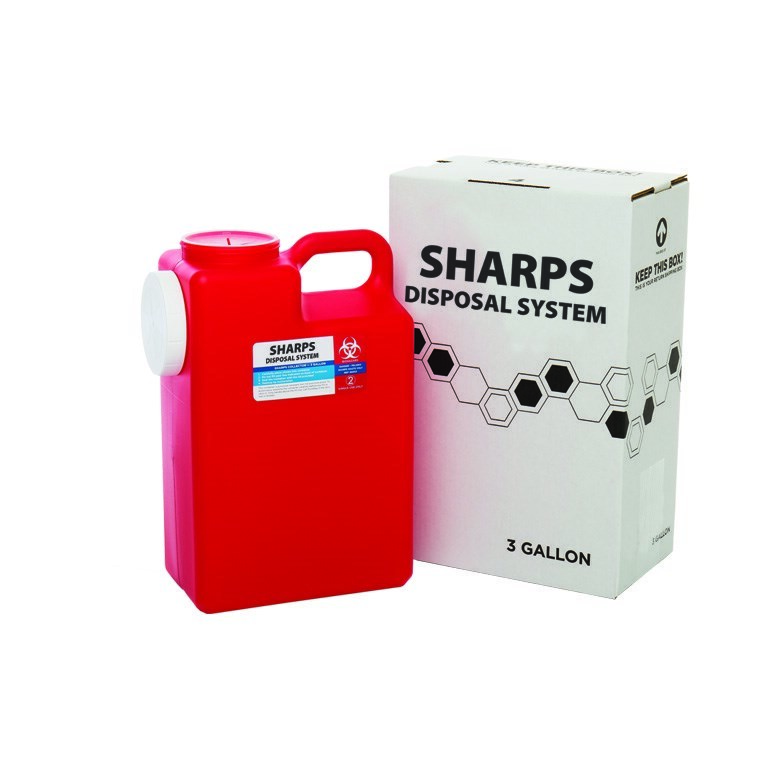 3 gallon systems are cost-effective solutions for the proper disposal of red bag and sharps waste. They replace costly pickup services and are a perfect solution for multiple treatment rooms. When ready, simply place containers in the prepaid return shipping box and leave it with your regular USPS or UPS pickup. It's that easy!